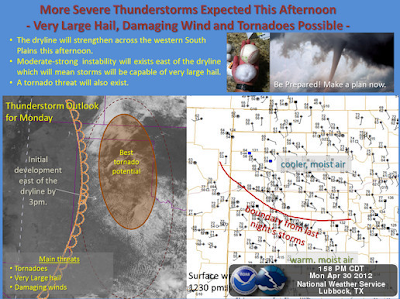 Another Round Of Severe Thunderstorms Across West Texas This Afternoon - Tonight. 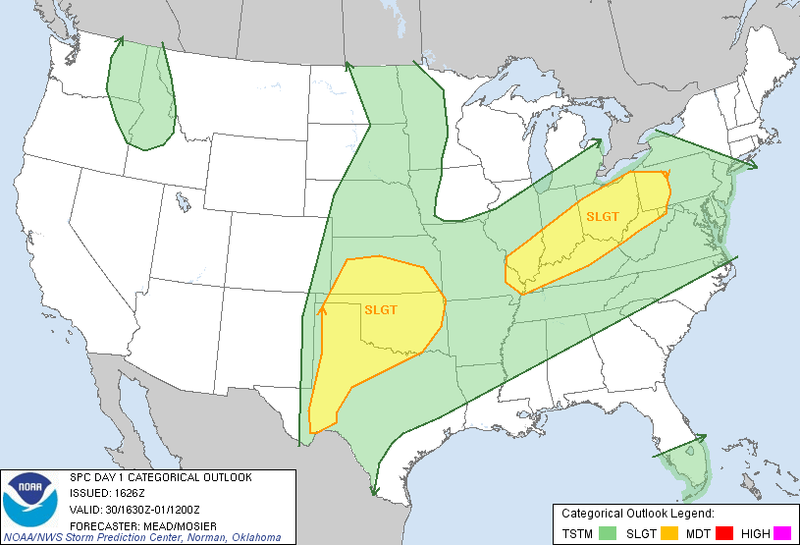 Today's Severe Weather Outlook Issued At 11:26 AM MDT. Mesoscale Discussion #632 - A Watch May Be Needed This Area. 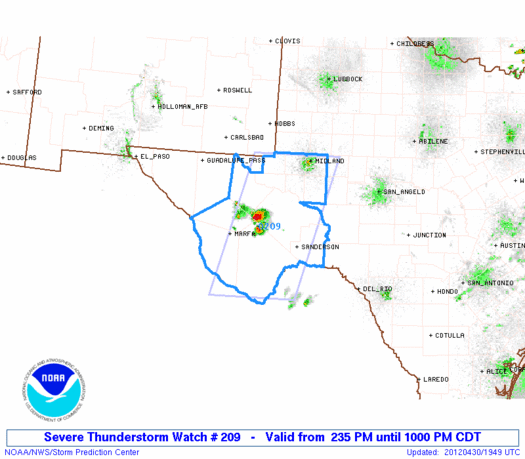 Severe T-Storm Watch #209 In Effect Until 10 PM CDT. 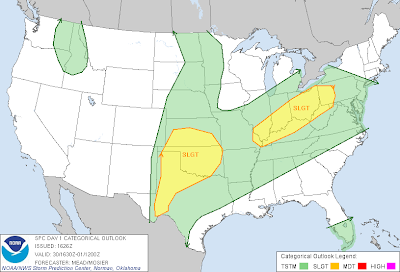 Hail up to 2.5" In Diameter & 70 MPH Wind Gusts Possible. 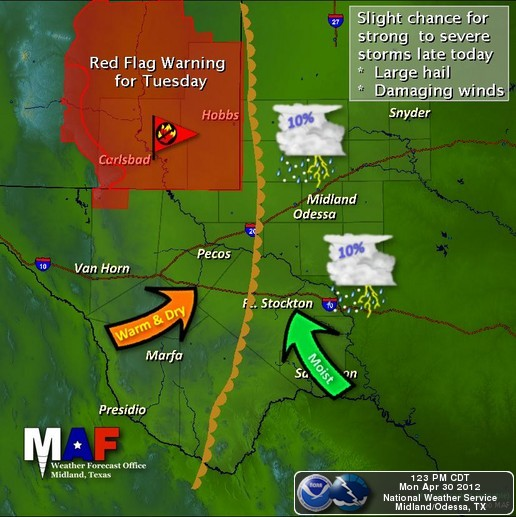 Severe thunderstorms are already erupting southwest of the Fort Stockton Area as of 1:55 PM MDT. 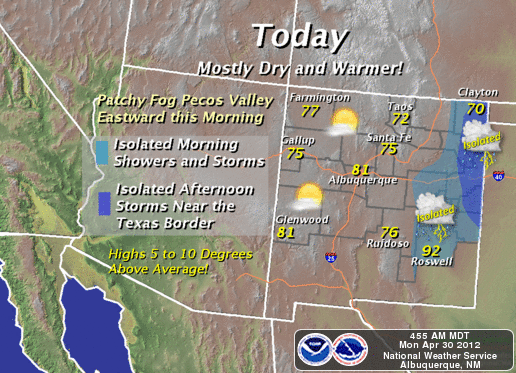 Additional thunderstorms are forecast to develop across parts of southwest and west Texas this afternoon and evening. 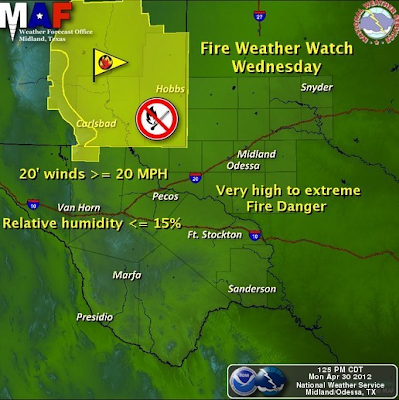 Southeastern New Mexico should remain free of the activity.